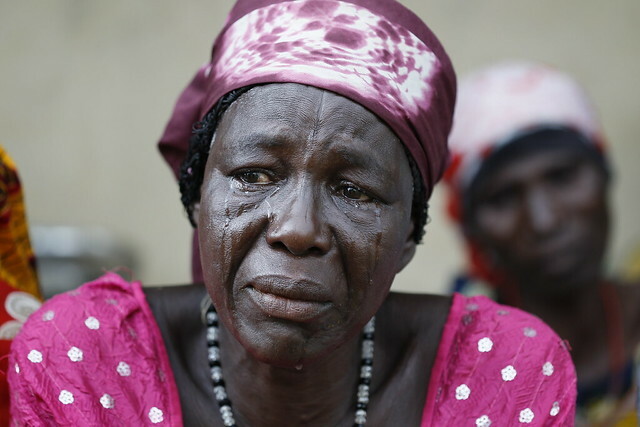 In the middle of the night on April 14, 2014, Boko Haram, abducted 276 girls from their secondary school’s dormitory in the town of Chibok in northeastern Nigeria. Over the following days, 57 girls managed to escape. But two years later, 219 are still missing. During the last four months of 2015, the Murtala Muhammed Foundation in Nigeria embarked on a project to interview the parents of each of the missing girls. They managed to meet relatives of 201 of them. The interviews and photographs will be published in a book, “The Daughters of Chibok”, a memorial to the girls, which aims to capture their lives before the abduction and to highlight how their families have struggled to cope afterwards. 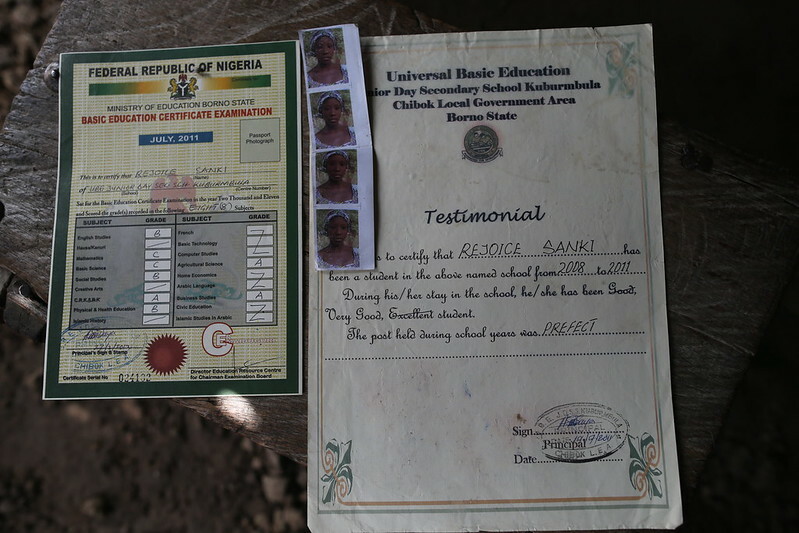 The weekend before she was abducted from school, Mariam, 18 at the time, had exchanged marriage vows with Nkeki Bukar, a farmer from a nearby village. The church ceremony was attended by a number of her classmates. Her husband Bukar had assured Mariam’s parents that he would support their daughter, the eldest of seven children, to continue with her education. “Despite getting married, she planned to further her education,” her mother said. And so, a few days after their wedding, Bukar saw his wife off to school to sit her final exams. Two years later, she is still not back home and he has not remarried. His younger sister, who was also a student of Government Girls Secondary School (GGSS) Chibok was kidnapped along with his wife. “My daughter’s father-in-law died soon after,” Godiya said. Unlike many other parents whose daughters were abducted from GGSS, Chibok in April 2014, Mary Sanki has never had the opportunity to visit the scene of the kidnapping or to attend meetings where the parents discuss what to do next in their efforts to find their children. She has never had the opportunity to speak with journalists or with the outside world about her daughter, Rejoice. Mary Sanki is blind. Mary remembers her daughter’s beautiful voice from when she used to sing Christian songs. “When I think of the music she used to sing, when I hear other people singing those songs, I remember my daughter,” she said. Two weeks after Rifkatu gave birth to her 10th child, her daughter, Lugwa, was kidnapped. “When I heard, I lost myself completely," Rifkatu said. Lugwa, who had just turned 17 at the time, liked to play with the baby in the room she shared with her sister. “We had all heard of Boko Haram, but we just didn’t think they would get to us, so we were not afraid of Boko Haram,” her mother said. But Boko Haram did get to them in the most brutal, most horrific manner. After the abduction, not even Lugwa’s sister wanted to sleep in the room the two girls once shared. Rifkatu Galang was eager to go to school and sit her final exams. After that, she planned to return home and help in the family farm for a while. And then, she would marry. A young man called Kwanugu talked to her about Lagos, how he was going there to make it and all the gifts he would buy for her. Her mother, Yana, never liked to hear all that talk. She felt that, at 19, her daughter was too young to be married. She wanted her to at least think of the possibility of further studies. Rifkatu did not mind the idea but she knew there would be no money for her fees. 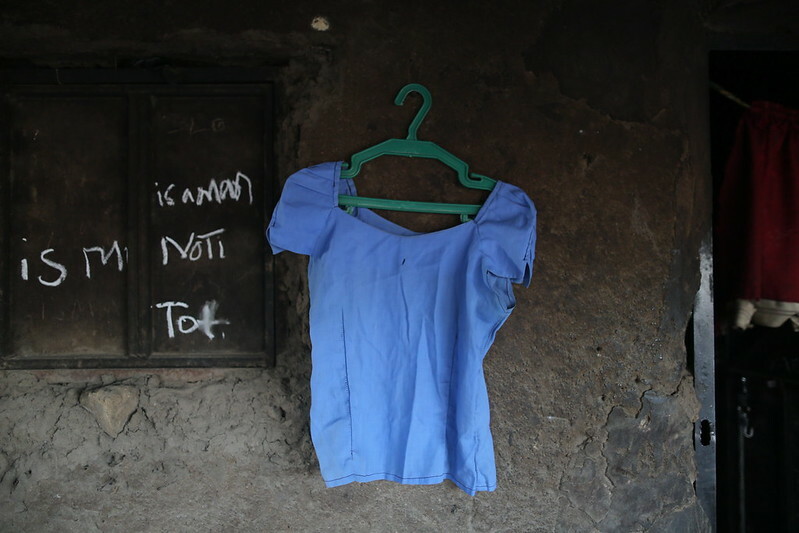 Just before she left for school on April 14, 2014, Rifkatu could not resist teasing her mother one more time, reminding her about her plans to marry soon after the exams were over. ''She was fond of gospel music and she was playing this song on her phone,'' said her mother. It is the last thing Yana remembers of her daughter. That night, the armed group invaded the school and took Rifkatu, and her friends and relatives, away to the Sambisa forest. But it is different for a mother. “How do you move on, when everywhere you go she is there?'' she said. Recently, a car went past and she heard her daughter’s favourite song on the stereo. Instantly, tears poured from her eyes. Right there, in the middle of some street. 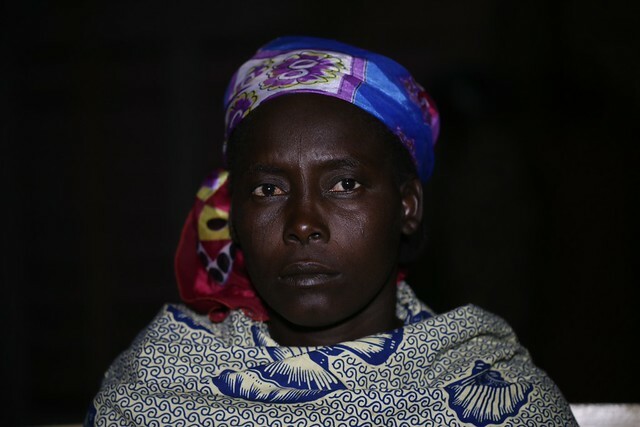 Mary Pogu gave birth to 10 children and Solomi was her seventh, but then two died and Boko Haram now have a third. 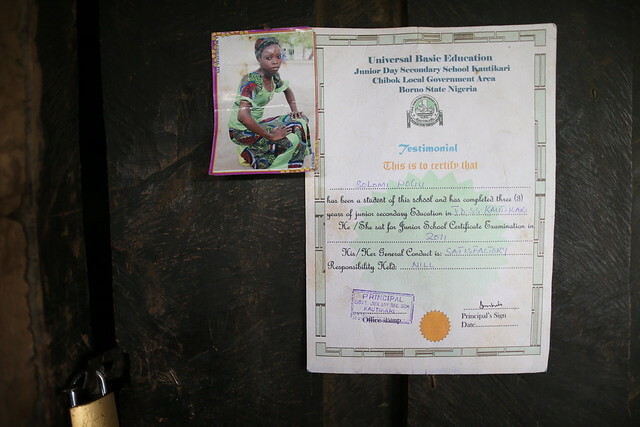 When Solomi, 17 at the time, was abducted, her mother wept, not just for Solomi but also for the other two children she had lost. Her daughter had wanted to finish her exams and immediately go for further education to fulfill her ambition of becoming a teacher. Now, Mary regrets ever letting the girl go to school. "My last son said he wanted to go to school but I told him, no way." What she can’t understand was how such a thing could be allowed to happen. How could a child be kidnapped from school? Each time she sees a picture of her daughter, Deborah, or her clothes around the house, her mother’s mind is flooded with fond memories. But they are not memories of the hard-working young woman who cooked the meals, did the laundry and went to the farm. They are not even memories of Deborah on the last day she left for school, their prayer together or the words that now seem to be their last exchange as mother and daughter. After almost two years of waiting, Saraya has lost hope in the government or in any other human assistance. She does not think anyone can help bring her daughter home anymore. “Only God,” she said. 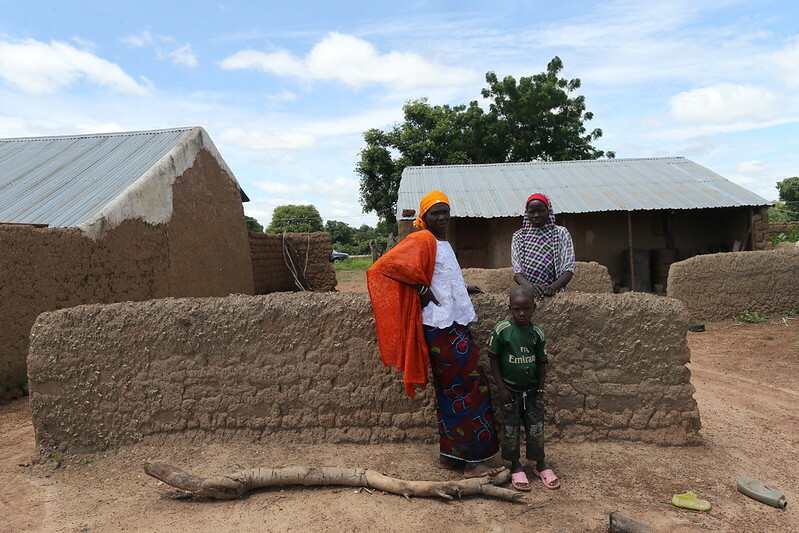 Ladi, 17 at the time of her abduction, is the second of seven children, and when she was at home she would help her mother in the kitchen and on the farm. She didn't have to wait for the news. 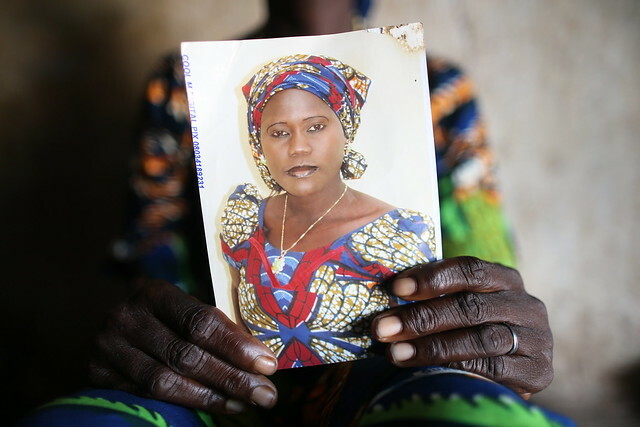 Living in a village so close to Chibok, Saraya Audu could not have missed the inferno. And like everyone else whose daughter attended GGSS, Chibok, the first thing that came to her mind was the fate of the girls. “Even before the news spread that the girls were kidnapped, we already heard that Boko Haram had entered Chibok. We saw fire burning over the place because as you know these villages are close. So I started thinking about our girls." Her fears were later confirmed in the morning, and she wept for her daughter, 17 at the time, the seventh of her 12 children. The tears, which still fall freely, are the reason why even her daughter's best friend, Yagana, does not visit her anymore. “Her friends don’t visit anymore because each time they see me, all they do is cry," she said.